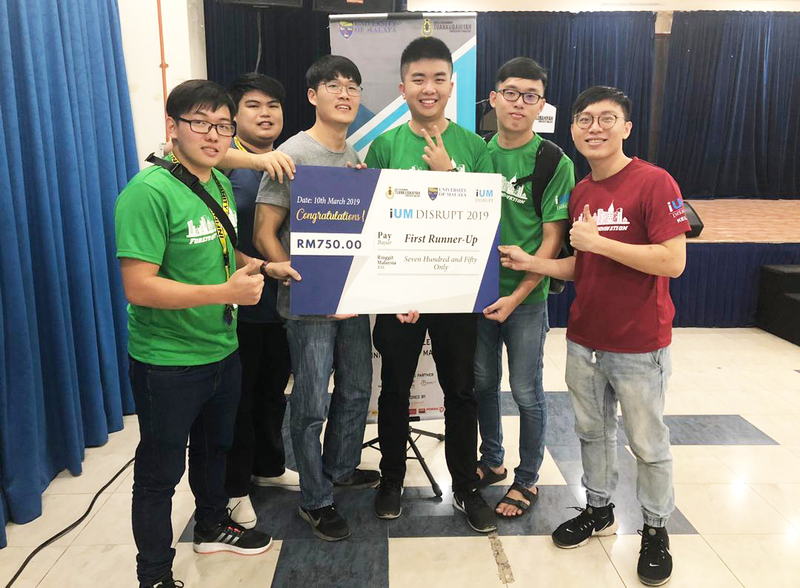 A group of students, consisting of four UTAR Entrepreneurship students and one Universiti Malaya (UM) student, emerged as the first runner-up at iUM Disrupt 2019. The competition was held at Tuanku Bahiyah Residential College, UM from 9 March to 10 March 2019.
iUM Disrupt is a competition that requires contestants to propose a business idea or product to a selected panel of judges. 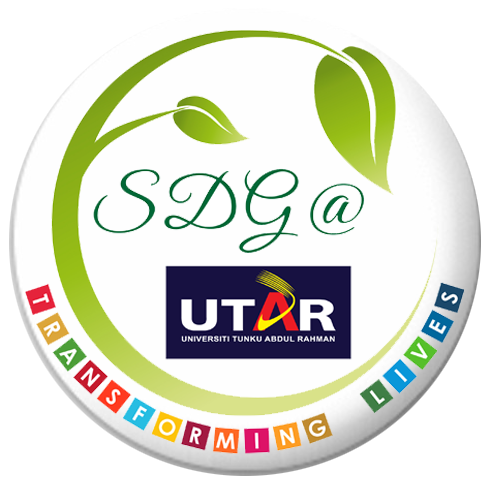 A total of 30 teams from different universities in Malaysia participated in the competition. The contestants had a pitching session for about four minutes in the first round, and they were evaluated by one judge. However, only eight teams, including UTAR, managed to go to the final round where they had to pitch for about another four minutes to all five judges. The four UTAR Entrepreneurship students were Kong Woon Kit, Low Kin Kei, Loo Sau Qien, and Goh Yee Jian. The fifth member was Tan Kah Chun from UM.They presented a product called “Incretable”. It is a table that has multiple functions and features such as adjustable height, table lamp, cup holder, hidden power socket, storage space and wireless charging, to name a few. 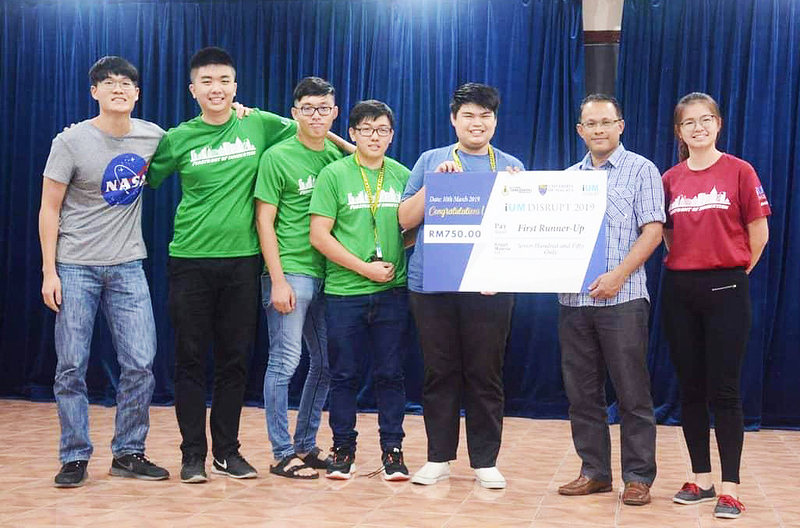 The team won the first runner-up and they took home cash prize RM750. The first place and the third place were won by Monash University and UM respectively.